Discover More Florida Hidden Gems for Canadian Snowbirds! 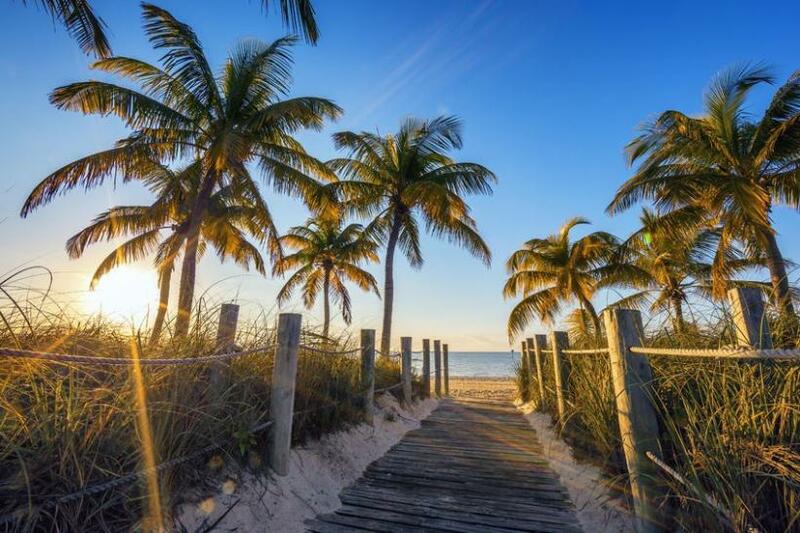 As our series on “hidden gems” for snowbirds continues, we turn our focus to some of the lesser-known attractions along Florida’s lengthy East Coast and in the Florida Keys. The area features so many interesting places and attractions, large and small, natural and man-made, and we’ve collected some of the best options for you to visit while you are spending your winter in Florida, or during your drive down or home. These attractions are also great for when family and friends come to visit. Located in North Miami Beach, the structure is really from the 12th century. Originally built near Segovia in northern Spain, the monastery has an interesting history of relocation. In 1925, William Randolph Hearst purchased the Cloisters and the outbuildings. The buildings were carefully taken apart and shipped to the United States. But Hearst developed financial troubles and the crates were stored in Brooklyn, New York, for 26 years. In 1952, they were purchased by two entrepreneurs who intended to re-build them as a tourist attraction. In 1964, the Cloisters were bought by Colonel Robert Pentland, Jr. Today the Church of St. Bernard de Clairvaux occupies the building and is an active congregation in the Episcopal Diocese of Southeast Florida. Services are held on Sundays and weekdays in both English and Spanish. The Monastery has beautiful gardens and offers a peaceful oasis for visitors. Another hidden gem in greater Miami is the Venetian Pool in Coral Gables, allowing visitors to swim amidst beautiful rock formations, waterfalls and caves. Built in 1924, this former rock quarry is a freshwater pool that draws its water from artesian wells and an underground aquifer. The pools were part of the vision of George Merrick, a real estate developer who designed and built Coral Gables. He wanted a Mediterranean theme and created the Venetian Pool as a place for the community to gather. Homestead is just south of Miami on the way to the Florida Keys. Its here you will find one of the most bizarre and unusual of sights, the Coral Castle, a product of a broken-hearted man whose fiancée cancelled the wedding the day before it was to take place. Edward Leedskalnin, a young Latvian sculptor, moved to Florida in the late 19th century after he was jilted and started building this monument to the woman he lost. It took 28 years to carve the castle, which opened to the public in 1923. It is still a mystery how he managed to create this without heavy machinery. This beautiful Venetian villa is built right on the water in Miami and is well worth a visit. The setting is perfect and the design both inside and out is breathtaking, with wonderful furnishings and art adorning the interior. This unique structure houses an active Hindu Temple in Miami. Everyone is welcome to attend the various activities held in the Temple including prayer services, yoga classes, and many celebrations and festivals. Come prepared, you will be asked to remove your shoes when entering the temple. Butterfly World in Coconut Creek is the largest butterfly park in the world. You can see over 20,000 different butterflies and birds. The butterflies swarm freely in the park and will land on visitors if you stand still. This is a wonderful opportunity to see these beautiful creatures and appreciate the incredible variety. Located in Islamorada, this museum houses the world’s largest collection of diving helmets, hand-operated air pumps, armored suits, lights and other diving accessories. There’s also a wonderful collection of diving memorabilia, prints, photographs, books, film and video gathered from around the world. The museum is a testament to man’s desire to explore the wonders of the underwater world. Located within Dry Tortugas National Park, about 70 miles west of Key West, Fort Jefferson is one of the largest forts in the U.S. Accessible by ferry, private yacht charter or seaplane charter, the unfinished fort was a prison during the Civil War. Today the Fort is a museum and a bookstore. Camping is allowed on the beach and the area is also great for snorkelling. Located in Bahia Honda State Park, the historic trestle bridge was built as part of Flagler’s Florida Keys railroad that stretched over the sea. The railroad was completed in 1912 and spanned from the mainland to Key West. It was the most difficult of the bridges to build because the water is deeper here. There is still a part of the bridge that is open to visitors who can walk along it over the water. The park also has some of the most beautiful beaches in Florida. The Blue Hole is a former rock quarry on Big Pine Key that was created in the 1930s to provide rock for the Flagler railroad and other roads in the area. Today, the Blue hole is a lake that has fresh water on top but salt water below. It is home to some local wildlife including birds, turtles, a variety of fish and alligators. You might also see Tiny Key deer that come to drink here. There’s an observation platform as well as a walking trail. Also in Key West, this old fort is now the home of the Key West Garden Club. The club has planted gardens in the crumbling structures of the fort which are home to magnificent orchids, unusual palm trees and a peace garden. This is a peaceful oasis where you can gaze out at the sea surrounded by beauty. If you’d like to see a Florida barrier island that is undeveloped and in its natural state, a visit to Little Talbot Island Park is a must. The island has forests and sand dunes, pristine beaches and streams and is a wonderful place to relax for the day. This museum was originally located in Key West, but moved to St. Augustine in 2010. It is the largest collection of pirate memorabilia in the world. Both Key West and St. Augustine were favourite haunts of pirates, so it is fitting that it remains in one of those ports. This wonderful park and museum will make you feel like you’ve been transported to Japan. Home to all things Japanese, the gardens and the museum are worth a lengthy visit. Located in Delray Beach, the land was donated by a Japanese immigrant, George Morikami. And while you are there, be sure to have some Green Tea and sushi rolls. Located in Palm Beach County in the Lake Worth Inlet, the island is manmade as a result of dredging. The island received notoriety when a shelter was built here for President John F. Kennedy in the early 60s. Kennedy used to spend parts of the winter in Palm Beach and the shelter was built in case of a nuclear attack. Today, you can visit the shelter and enjoy camp sites and a pier. Built on limestone on Jupiter Island, the land was donated and is owned by The Nature Conservancy. During high tide, water blows up through holes in the limestone - often reaching great heights. Visitors love to take photos and videos of this natural phenomenon. The Loxahatchee River near Jupiter is home to many rare and endangered species including manatee and the wood stork. The river attracts visitors with kayaks and canoes who like to explore the local wildlife, which includes alligators, snakes and many birds. Originally known as McKee Jungle Gardens up to 1976, the Vero Beach attraction reopened in 2001. The Gardens have hundreds of tropical flowers, trees and shrubs set amid the historic infrastructure. Deland, Florida is home to this impressive mansion that once belonged to the famous inventor of the Stetson cowboy hat - John B. Stetson. The mansion is an example of several architectural styles and was one of the first luxury homes to be built in Florida.